I have shared many bee photos before. This one was taken with the macro lens. You can click on it to see a larger image. I wish I had gotten his eyes in better focus but there is some good detail on the wings. Absolutely stunning photographs! 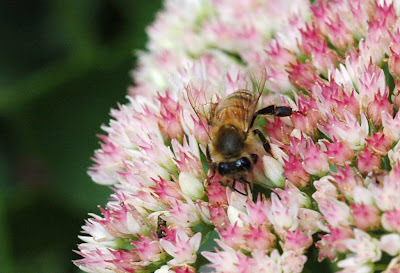 The pollinating honey bee is gorgeous!